If our farmers enjoy a good reputation with consumers, – at least according to surveys –, such is not the case everywhere else in the world. Such as in the Netherlands for example, where our e-zine recently travelled to cover a few stories and attend a convention on the future of agriculture. According to sources we encountered, consumers and farmers do not make good bedfellows. In fact, surveys place farmers are at the bottom of the approval list. It’s a well-known fact that Dutch farmers are highly productive and incredible innovators. However, their activities are not well perceived by the population. Despite being a country that is home to 17 million inhabitants and is roughly 40 times smaller than Quebec, the relationship between producers and consumers is nonexistent. There are 55,000 farms in the country and every week many of these farms close up shop. Whatever we may think, the abolition of quotas in Europe, in 2015, did not help farmers, particularly those operating in the dairy industry. Production increased dramatically for a while. Then prices began to fall. The result: Many businesses went bankrupt… and too many people ended their lives. In France (where I recently travelled with a delegation of producers and managers from our network), a similar observation can be reported: Agricultural producers aren’t very popular with consumers. Farmers are being imposed a constant outpouring of burdensome requirements and specifications. One might wonder if the country really wants farmers to continue production. 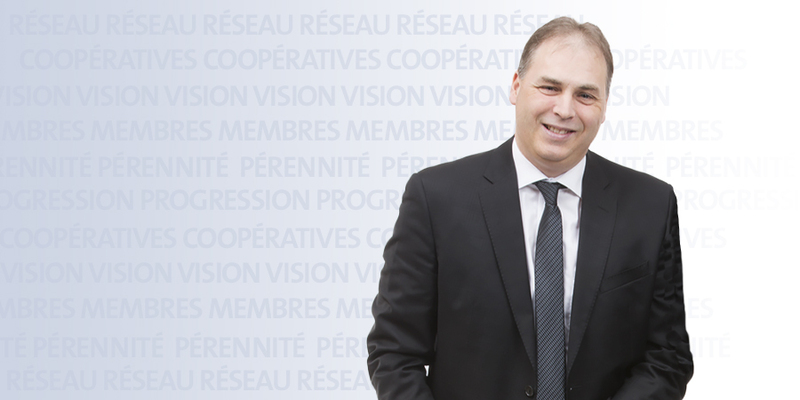 Although here in Quebec farmers enjoy a good relationship with the public, we must maintain their trust. The gap that separates the city from the country is growing. We need to continue our actions to gain greater recognition with programs like Arrive en campagne, On récolte ce qu’on aime or the Open House on Quebec Farms. We need to educate the public on how and why we do what we do. We need to start a conversation. Tell our story. Listen to consumers. The future of agriculture is on everyone’s lips. More than ever, it has become the topic of choice. And this is an opportunity for our network to become known as an innovator and an environment friendly organisation. Agriculture is currently being driven by an unprecedented wave of modernisation. A necessary move forward since we need to focus on what will allow us to produce even more in the future. It’s a known fact the world’s population will reach 9 or 10 billion by 2050, and to feed them we will have to significantly increase our food production. This is particularly challenging in a context of climate change. As the Intergovernmental Panel on Climate Change (GIEC) recently stated, the situation is urgent. Our agriculture needs to be productive and sensible, local and international. If agriculture ventures on the path of the future, our network will be right by its side. La Coop network is in the midst of a transformation. Our financial results have made this possible. Now is the time to stake our position, to take advantage of our competitive advantages. We are the partners of choice for agricultural producers and they know that they can depend on us. Furthermore, we and consumers are natural allies. The success of our agricultural producers must necessarily pass through efficiency and better performances, and by meeting the expectations of consumers here and abroad. Thanks to its agility and creativity, our network provides producers with the possibility of attaining their objective while respecting the values of solidarity, responsibility, honesty and fairness to ensure the wellbeing of farming families and the prosperity of surrounding communities.